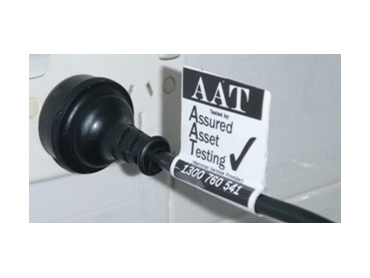 Assured Asset Testing offers a wide range of testing and tagging services. Quite a few of Assured Asset Testing’s clients have previously conducted their own testing and tagging. There are several reasons why the clients ask Assured Asset Testing to come in and implement a testing and tagging programme for their workplace. Generally, their reasons for change are because of common but entirely legitimate logistical problems, that when considered are less favourable than outsourcing the task. There is much more of an expense than just the initial outlay of the testing equipment and course. Other ongoing expenses are consumables (tags), Asset register software, tester repairs and regular PAT tester calibrations. Labour costs/Productivity loss from using an internal staff member rarely outweighs the cost effectiveness of using a competent external service provider. Consideration not only needs to be given to time that it takes to carry out the testing and tagging but also to compiling Asset Registers and reports, ordering consumables and the processes required for arranging testing equipment maintenance and repairs, etc. A company recently told Assured Asset Testing it can make more money from its employee undertaking their usual role than what it costs to engage Assured Asset Testing’s services. Consider this example: The cost per day in wages + super etc for the employee to test and tag - $250. Plus the amount of income the employee would normally earn for the company in that day - $550. The cost would be $800/day in lost productivity alone. Electrical safety in the workplace is a serious matter that requires a focused effort from an expert. It could mean the difference between a safe and harmonious workplace or dealing with the aftermath of a tragic incident. Taking time to properly carry out the task may be at risk if the internal staff member is under any pressure to get back to usual duties. Also this issue of fitting testing and tagging around other projects often results in it being put on the backburner or forgotten, resulting in an overdue programme. Keeping staff that are qualified can be an issue. Often the trained staff member moves on. One option is to spend the money in training another staff member, with no certainty that they will be staying for a worthwhile time. Unless there is meticulous documentation, with a changeover of staff members there can be confusion with varying methods of risk assessments, testing timeframes, asset IDs and asset register maintenance. Even if it is initially done properly, the entire process eventually needs overhauling. Another issue is the expertise comparison between a staff member who tests and tags once or twice a year and a technician who carries out approximately 1000 electrical tests a week, participates in ongoing training, assessment, feedback and receives regular industry updates. All in all, despite good intentions, Assured Asset Testing has found that the quality tends to be lacking when companies attempt to do it in-house.